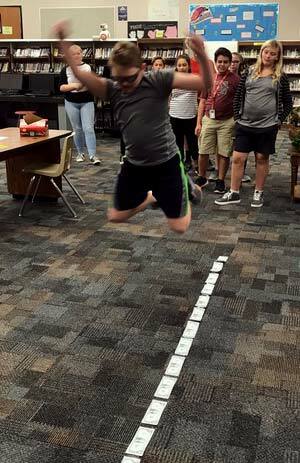 Jumping for George–Washington, that is! 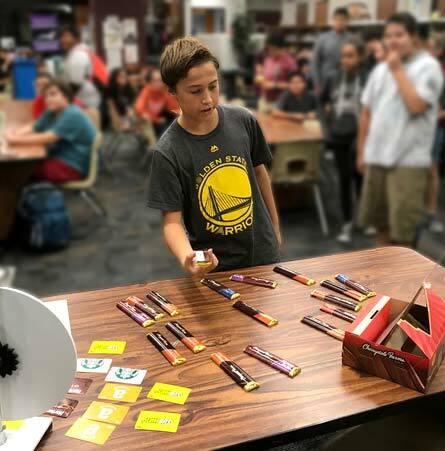 Rhodes Jr High students who sold enough in the Cherrydale fundraiser earned a fun-filled pizza party, prize wheel, and jumping for George– an incentive unique to Grand Canyon Fundraising. 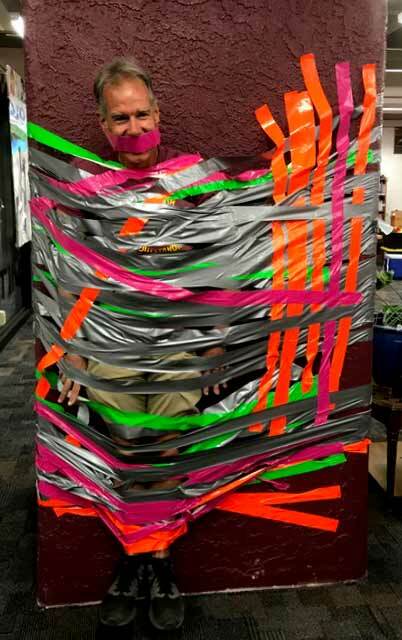 They had the most fun duct-taping a teacher to a wall.